Change – even temporary change – is not always easy, and these events are also meant to engage the community. 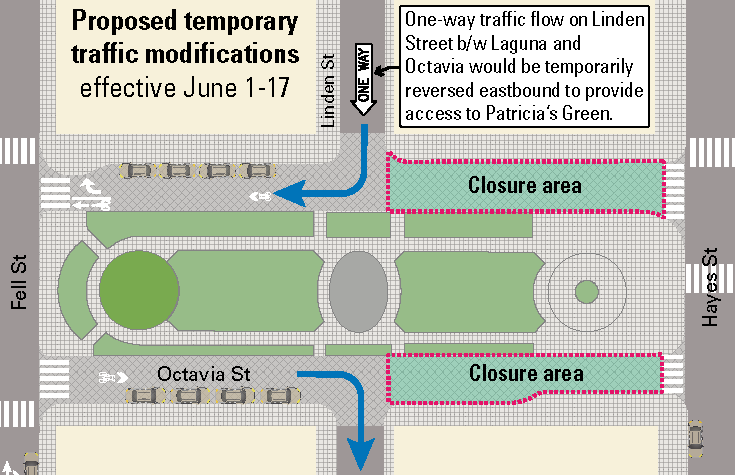 We’d love to discuss this event and the larger proposal for Octavia Street with you, and will be holding office hours in Patricia’s Green on two separate days to have an informal conversation between staff and neighbors. We hope you’re able to join one or both of these. Look for the SFMTA sandwich board sign to find us!